In a bid to launch a new kind of feature where our writers can go a little mad with their gamer confessions, wants and needs, and on the day of a Nintendo Direct no less, I figured now is as good a time as any to express my love for Pokémon Snap on Switch. Initially released in 1999 for the Nintendo 64, Pokémon Snap is a first-person shooter game that was the developed result between HAL Laboratory and Pax Softnica. Given the Snap in its title, you would be right to assume the game is about taking photos of Pokémon and by the end of 1999, it sold a reported excess of 1.5 million copies. It also ended the year as the sixth bestselling game in the United States. For all intents and purposes, the game was a huge hit and a much loved one and yet, despite all the praise and the success, no sequel ever came, but it doesn’t mean it is forgotten, oh no. In fact, thanks to things like a Virtual Console release on the Nintendo Wii U and a Pokémon Snap-style feature in the Gen 7 games (Pokémon Sun, Moon, Ultra Sun & Ultra Moon,) the legacy of Snap still lives on. Heck, Snap will also have the chance to live on through Pokémon GO thanks to the new GO Snapshot feature that has been announced for it, but I’m greedy and that’s just not enough for me. After all the teasing, I am ready for a true Pokémon Snap experience and as much as I would love a sequel, I’d happily settle for a sequel. Not just any sequel mind you. Having thought about it quite a bit, I have decided that I don’t want Pokémon: Let’s Go, Pikachu!/Pokémon: Let’s Go, Eevee! to be the only Gen 1 games to get a remake on Switch. Quite simply, I want the original Pokémon Snap game, but made using the Pokémon: Let’s Go engine. I know I sound crazy for saying that, especially since a Snap remake could look godly if it was made on the Gen 8 engine, but quite simply, while I dislike how trainers and characters look in Let’s Go, the actual Pokémon and locations looked great and I believe that particular visual design would do Pokémon Snap more justice. The remake doesn’t have to be super realistic to be a day one title, it just needs to be a game where the world of Pokémon is alive and well and the Pokémon are livelier than ever and I feel this one of the aspects that the Let’s Go games just right. As for why I’d settle or even prefer a remake over a sequel, it’s because of the starter Pikachu and Eevee. As much as I would love a new Snap game with even more Pokémon, sometimes less can be more and I wouldn’t be opposed with a remake featuring the very same 63 Pokémon that were in the original game, provided they too had a range of facial expressions like partner Pikachu and Eevee do. Saying that, I wouldn’t be opposed having more Gen 1 Pokémon present this time around, in addition to a couple more areas on the island to explore and who knows, since Meltan is such a lovable nut, why not let him appear also? 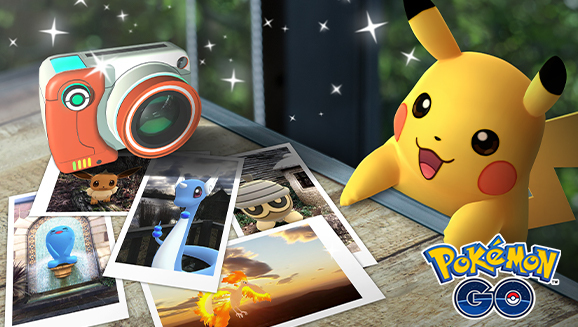 Unlike Pokémon GO however, the Pokémon: Let’s Go Snap! remake wouldn’t have to be able to connect to Pokémon GO, but I would love it if it had optional support for Nintendo Labo. Remember the cardboard camera that has yet to release as part of a kit, something such as that would be perfect for a Pokémon Snap game, especially if done in such a way that it is not needed for people to play the game, but for those who want to wave a cardboard camera around, then they can. If it doesn’t though, it’s not a deal breaker but it would have been cool nonetheless, but long story short, while 2019 may be the year of Pokémon Gen 8 and Pokémon: Let’s Go has certainly proved itself as a series deserving of a sequel, I feel strongly that it is time for Pokémon Snap to make a comeback and even if we never get a Pokémon Snap 2, Pokémon: Let’s Go Snap! would still be more than enough for me.